If your Hawaii vacation happens to fall a bit BEFORE whale season typically starts (November), you may be in luck! It looks like Hawaii’s humpback whales may have decided to make their annual trip to Hawaii a bit early this year. On September 29, 2015, researchers aboard NOAA Ship Hiialakai spotted the first humpback whale of the season off Niihau on their journey home from Papahanaumokuakea Marine National Monument in the Northwestern Hawaiian Islands. It's important that whale watchers begin to be aware of the necessary safety precautions, now that whales have been spotted. Another sighting of an adult humpback whale was reported a few days later near the Pacific Missile Range Facility off the southwest coast of Kauai, by Captain Sterling Silva aboard the Captain Andy’s Sailing Adventures. Whale behaviors observed included a breach, a pectoral slap and a dive. Humpback whale season in Hawai‘i generally runs from November through May, although whales may be encountered in limited numbers during other months. More than 10,000 humpback whales winter in Hawaiian waters each year. With the arrival of humpback whale season in Hawaii, ocean users are reminded to keep a safe distance from these annual visitors to the Hawaiian Islands Humpback Whale National Marine Sanctuary. Boaters are reminded to post a lookout at all times throughout the year, not just when whales are visiting our waters. An extra set of eyes scanning the waters ahead and to the side of a boat can prevent collisions with marine life, obstructions, divers and other vessels. 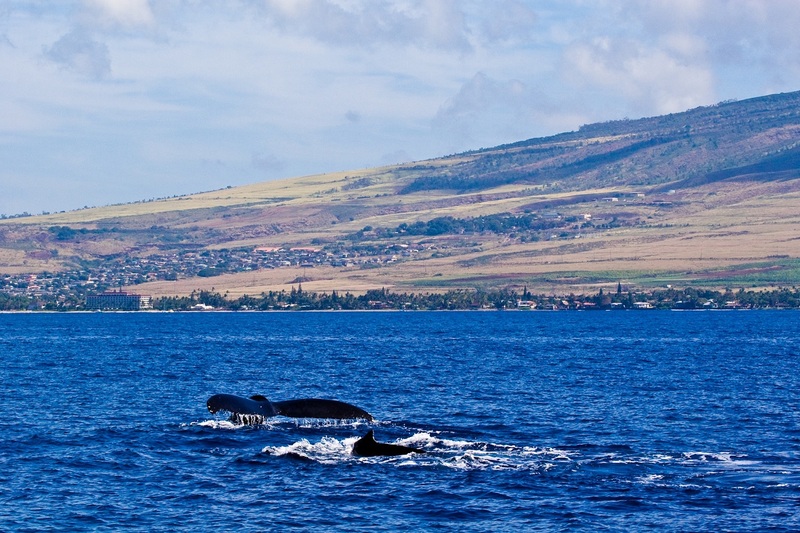 Endangered humpback whales are protected in Hawaii. Federal regulations prohibit approaching within 100 yards of whales when on the water, and 1,000 feet when operating an aircraft. These and other regulations apply to all ocean users, including vessel operators, kayakers, paddle boarders, windsurfers, swimmers and divers throughout the Hawaiian Islands. Ed Lyman, marine mammal response manager for the sanctuary, said ocean users such as those that reported the whale sightings are a “great resource” in helping monitor humpback whales in the sanctuary. “By locating distressed animals, reporting and providing the initial documentation and assessment on the animal, ocean users are the foundation of our conservation efforts,” Lyman said. If you come across an injured or entangled marine mammal, please maintain the required safe distance and call the NOAA Marine Mammal Hotline at 1-888-256-9840 immediately, or the U.S. Coast Guard on channel 16. If reporting a suspected approach zone violation, please call the NOAA Fisheries Enforcement Hotline at 1-800-853-1964. Additional guidelines and safety tips can be found at http://hawaiihumpbackwhale.noaa.gov. The official whale season runs November through May, but that doesn't mean a few won't come early or stay late. “It’s important for everyone to be extra vigilant during whale season, for their own safety and the protection of the animals,” said Malia Chow, Superintendent of the sanctuary. That counts for whale-watchers too, especially those who are boating to see whales in Hawaii up-close. 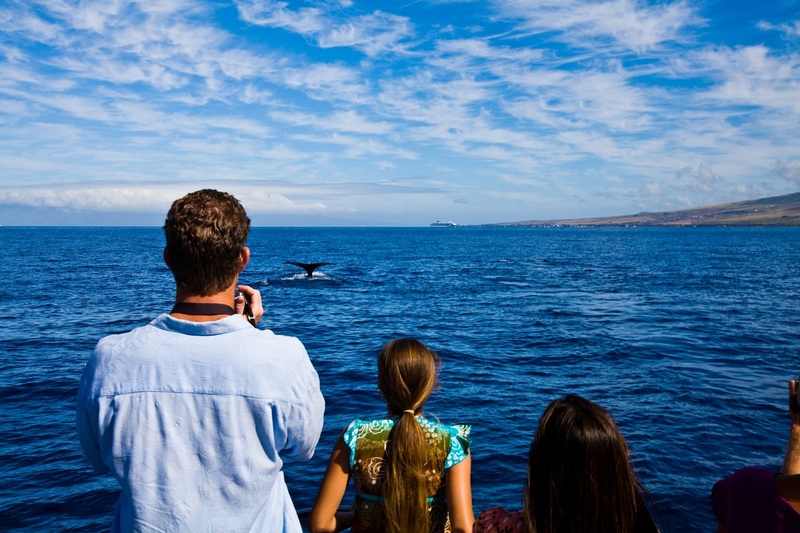 Always remember to take a reputable whale watching tour like those offered through Hawaii Aloha Travel. The largest influx of whales are still likely a month away, but if you’re lucky, you may just see a few who decided to sneak in early to Hawaii!